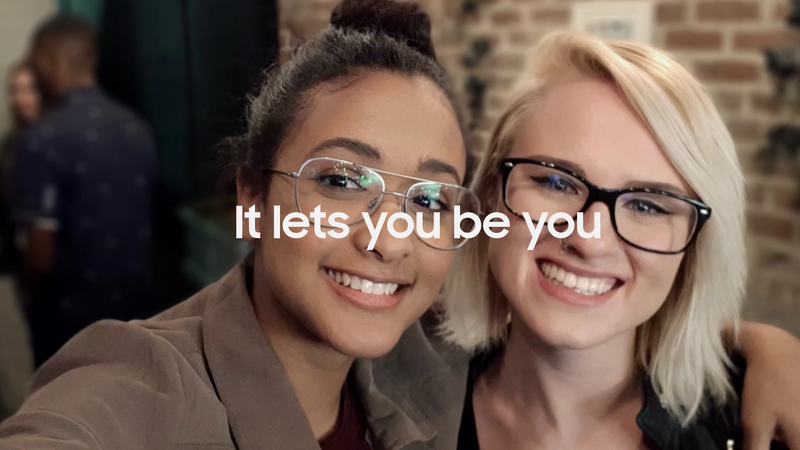 Samsung is tapping into Generation Z’s craving for authenticity in a new, international ad campaign for Samsung Galaxy A8, created by the Cheil Worldwide Network. At the heart of the campaign is the young director and social anthropologist Shea Glover, who appears on screen as well as sharing a co-director credit. In it, she takes her previous social experiment exploring self image to a global audience, making an emotional film showing what happens when a wide range of Gen Z strangers are told that they’re beautiful just as they appear. At the same time the film demonstrates how the Samsung Galaxy A8 is perfect for taking naturally beautiful photos in all conditions – from very low lighting, to rainy evenings, to bright sunshine. The campaign provides a contrast to other mobile handset makers who promote their new models with ads focusing on camera settings that allow users to create artifice-laden selfies.